The silver beech trees around my home are one of my favorite trees. One of the biggest housed a basic treehouse for my sons and was affectionately named “Fred”. No idea where that came from. Over the years Fred stoically took the drilling of woodpeckers and the implanting of BB pellets in stride, housed birds and squirrels and for a couple of years a pair of wood ducks every spring. 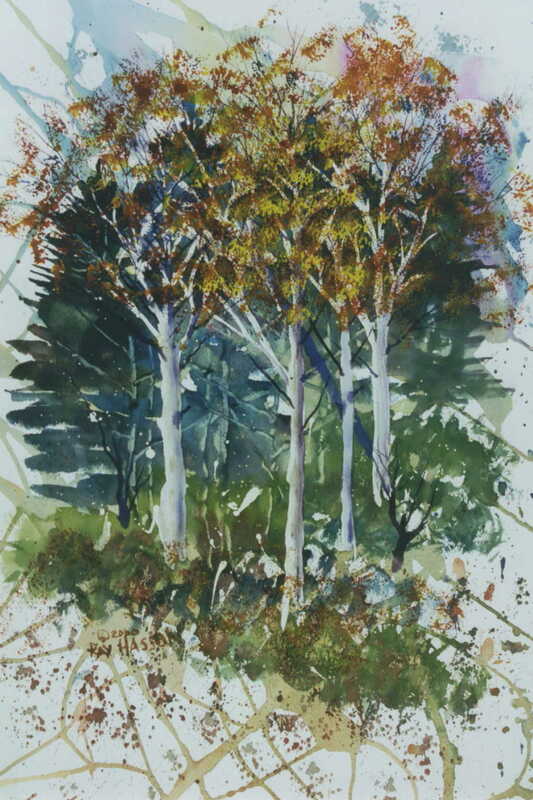 But Fred finally gave up the position of emperor of the woods a few years ago and although these particular beech trees are elsewhere the painting has become Fred’s memorial.